One “S” is for scallops, the other is for snapper. 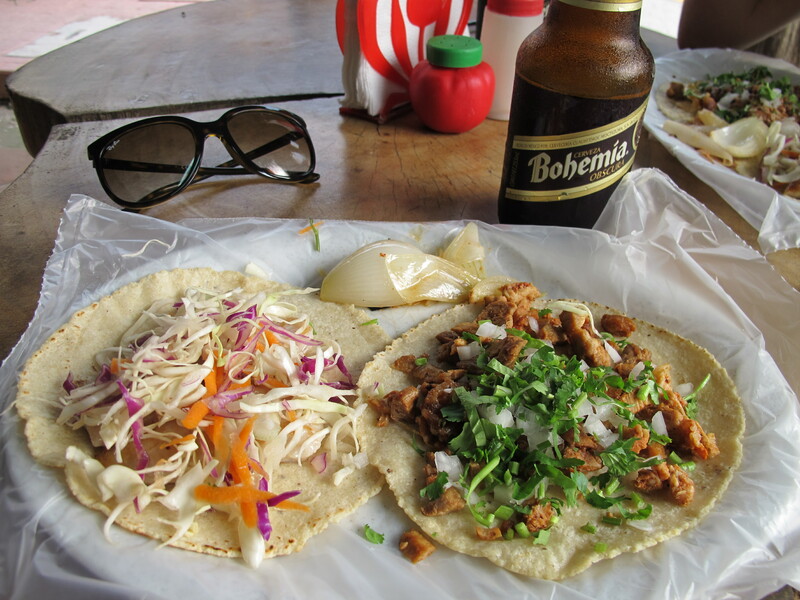 But it could be for simple or Sayulita or sunny or spicy. All of those words apply here. About a month ago, I headed up to Seattle for the weekend to visit friends. (Seattle! Another “S” word that works here. Ooooh, snap!) On a warm Friday night, we celebrated Britt’s birthday in their big backyard. Andrew made carnitas and ice cream sandwiches and Britt made a big bowl of ceviche. We ate and played corn hole and drank wine. 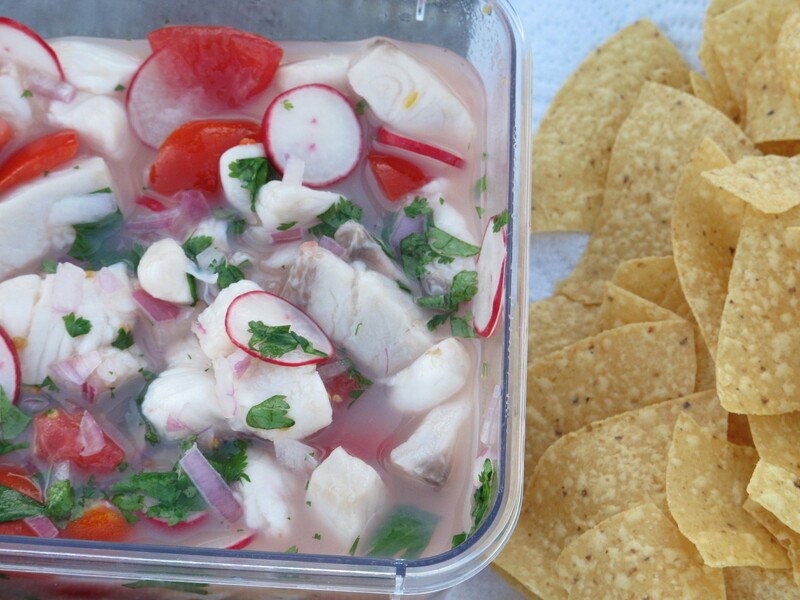 I was the friend hovering over the ceviche bowl, scooping bites onto tortilla chips with one hand and holding up the other to catch the salty, lime juice drips. It was so fresh with tart lime and tender fish, I couldn’t get enough of it. Fast forward a couple of weeks and I’m in sunny Sayulita, Mexico with my dear friend Pea. We took a spontaneous leap and headed down there for Labor Day weekend. I was eager to try the ceviche. We bought a couple plates at a little roadside stall, but the fish had been pulverized to the consistency of couscous. I didn’t understand it. It was no bueno. 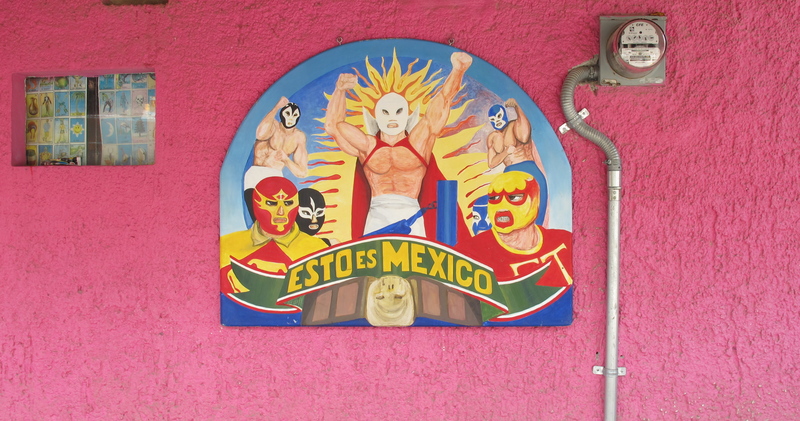 We stuck to taco eating at a little spot called Bichos (yes, that means Bugs en Espanol). They were the best tacos ever, made with freshly-pressed, corn tortillas hot from the pan. I could happily eat them everyday for the rest of my life. We filled our days with stand-up paddleboarding, book reading, tropical fruit eating, beach walking, hill exploring, and Spanglish speaking. We filled our nights with margarita drinking and taco eating. It was the vacation to end all vacations. 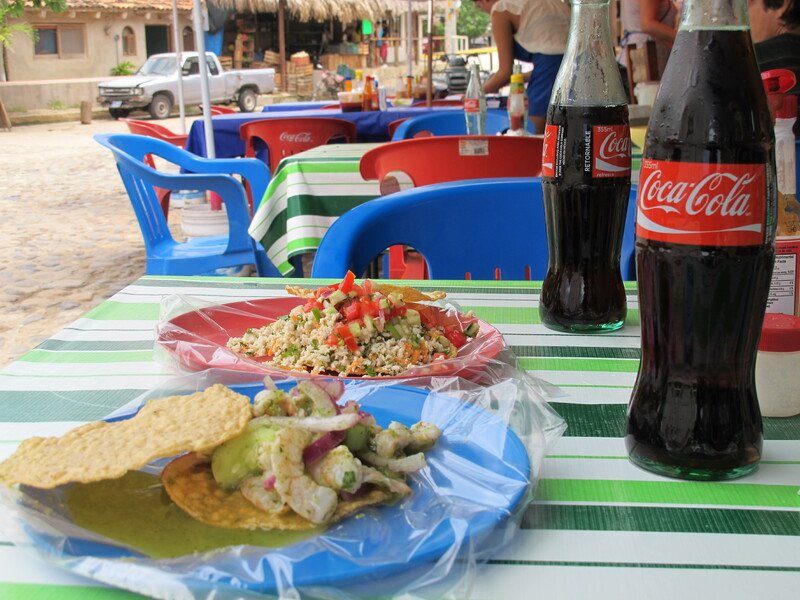 The only thing not satisfied upon leaving was my ceviche craving. Fortunately, Britt kindly shared her ceviche-making process with me. No recipe, just notes. It is truly cinchy. 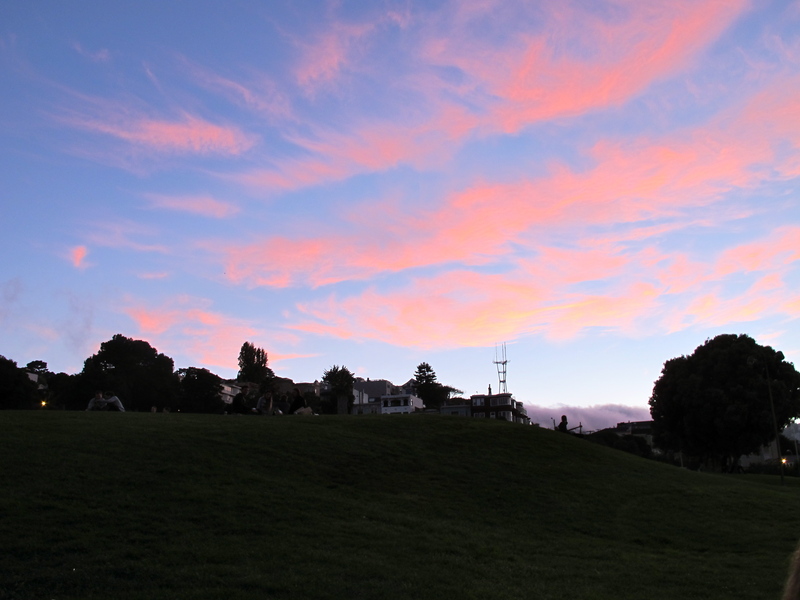 Yesterday afternoon, Elle and I whipped up a batch for a Sunday evening picnic with Patrick in Dolores Park. 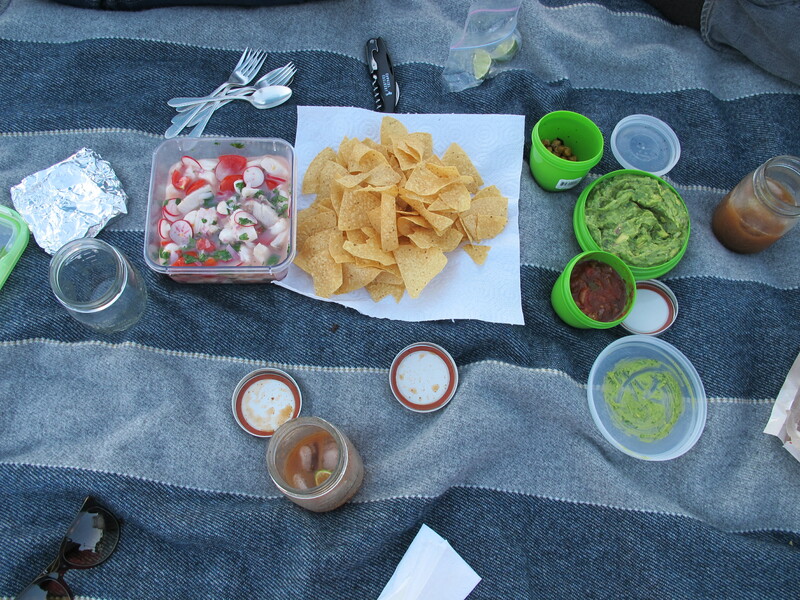 It makes excellent picnic food when among friends who don’t mind all the double-dipping of tortilla chips. We served the ceviche with homemade guacamole, chips, good salsa, crispy chickpeas, and Dr. Bradley’s pureed plum cocktail with tequila and mint. Very bueno. 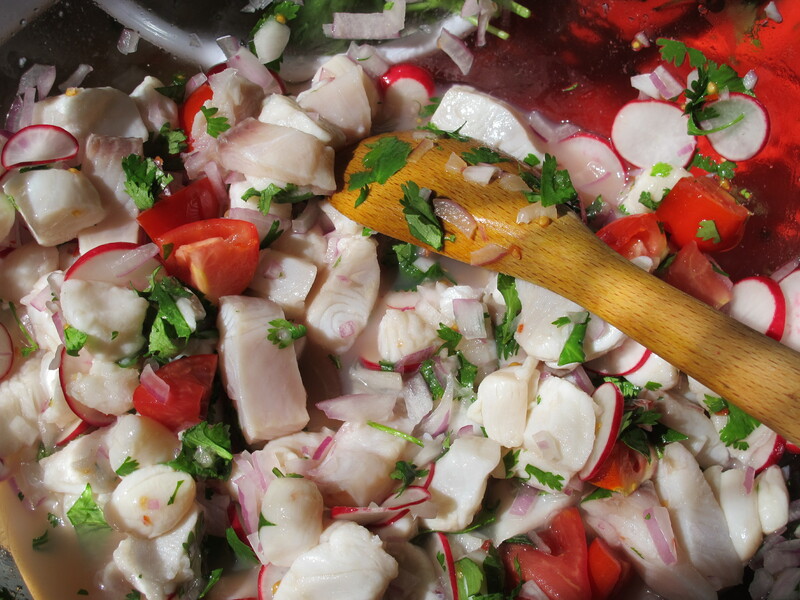 I encourage you to improvise with ingredients, keeping in mind that very fresh, de-boned seafood and plenty of fresh lime juice are your anchors on this S&S ceviche ship of dreams. Put raw seafood in a large, glass (non-reactive) bowl, sprinkle generously with sea salt and cover with lime juice. 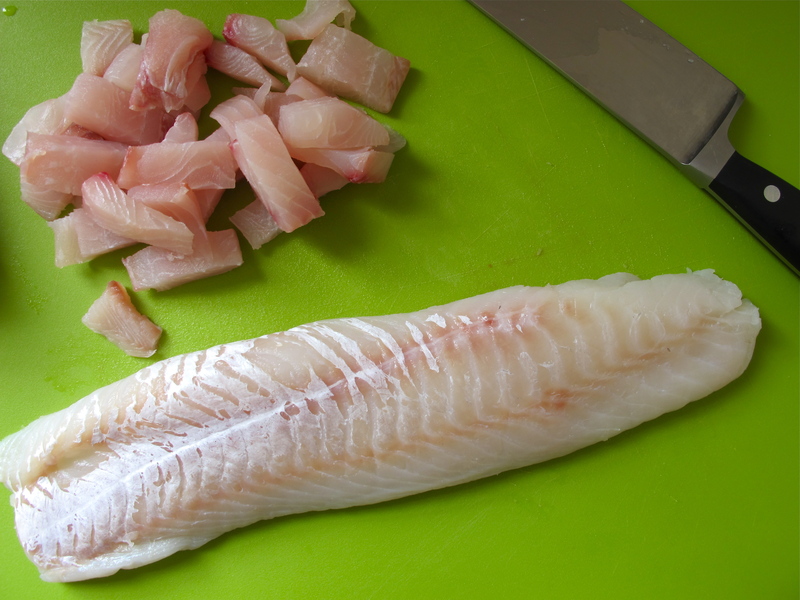 Cover and chill for about 45 minutes, allowing the lime juice to cook the fish and turn it white. Gently mix in the red onion, tomatoes, chilies, radish and cilantro. Season with salt and pepper as needed. Chill and serve with tortilla chips and fresh guacamole. Or, Britt served her ceviche with a side of popped corn nuts. 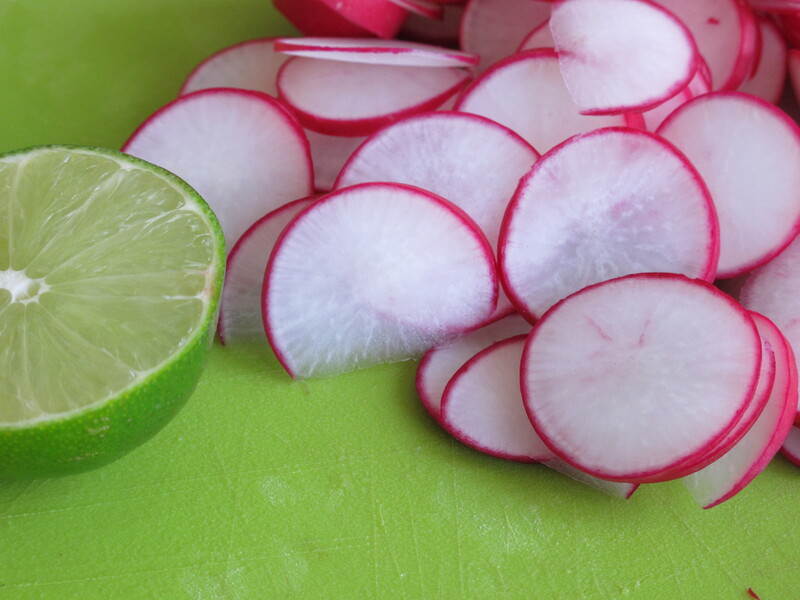 The salty and crunchy complements the fresh and sour perfectly.